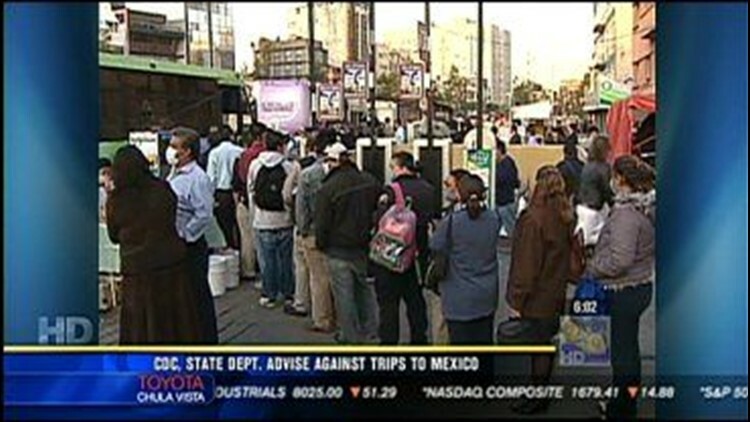 The Centers for Disease Control and the U.S. State Department are urging people not to travel to Mexico. Passengers arriving in San Diego from Mexico City Monday night were wearing face masks. The passengers said fear is gripping the streets of Mexico City as the government there tries to contain the outbreak. The Department of Homeland Security said there is no plan to shut down the border crossings. Border patrol agents have been told to use their judgment in assessing a person with flu-like symptoms.